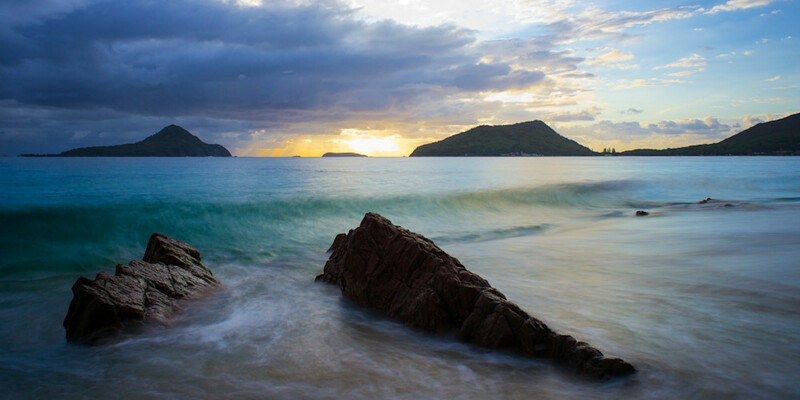 Port Stephens is a natural wonder of Australia and so easily accessible. The beach at Shoal Bay is beautiful and provides a mix of ocean conditions and protected bay depending on where you end up on the beach. On this particular morning I headed to the rocks at the very end of the beach under the lighthouse to capture the sun rising through the heads. The light was stunning and the way it lit the water was WOW!